The smallest village in Ohio with its own home page. Listen to the chorus of the Welsh National Anthem sung in Welsh. Click here to download free printable Welsh language calendars, diaries, and deskpads. Easter Egg Hunt, 1pm Saturday April 20 at Memorial Park. Venedocia (latitude 40.78N, longitude -84.44W) is located along state route 116 in Van Wert County of Northwest Ohio about 10 miles southeast of the city of Van Wert. The village occupies an area of about 1/4 square mile. Its year 2010 population was estimated at 124. Here are some additional demographic data about Venedocia. Venedocia was first settled around 1848 and was incorporated in 1897 by immigrants from Wales. Some current residents still remember when the Welsh language was spoken in village homes and businesses. Today Venedocia is a very pleasant and inexpensive place to live. It is inexpensive because there is no local income tax and because the rather low local assessed valuation means that real estate taxes are quite low. It is pleasant because the village government tries to make it so. For example, the village snow plow not only plows the streets, it also plows out the entrance to private driveways of village residents at no additional cost. An electro plating factory, OHIO ELECTRO POLISHING CO. Phone 667-2281. An excellent village park which includes public toilets, picnic tables in a very nice shelter, tennis and basketball courts, a kids playground, and a lighted baseball park complete with bleachers and a refreshment stand. The Venedocia Lions Club, with its own community building. Meetings 2nd and 4th Mondays of each month at 7PM. The SALEM PRESBYTERIAN CHURCH, a very large very impressive looking 100 year old structure. The congregation was founded in 1848 and prior to 1895 all church services in the village were exclusively in the Welsh language. In 1998 the Salem Church celebrated 150 years of ministry (This link includes a special hymn written for this celebration). Several documents are available concerning the history of this church. The official Venedocia village logo. Venedocia is featured in an Ohio Magazine article. The Venedocia internet site is featured in The Municipal Magazine, Columbus Dispatch, and Lima News articles. Download and play the VENEDOCIA VIDEO, from WLIO-TV, March 2002, 4 megabyte file in Windows Media Player (.wmv) format. During power outages in the village, Salem Church serves as an emergency refuge shelter for the entire community. The church will be open and have water, functioning toilets, and heat during power outage thanks to a powerful propane fueled generator paid for in part by the Lions Club. This annual event is a celebration of the village's Welsh heritage held the annually first Sunday afternoon of March. A menu in Welsh, songs sung in Welsh and English, and an interesting guest speaker are part of the program. The town's free Welsh festival of song is held every year on the Sunday evening of Labor Day weekend and has been an annual event since at least 1915. The Gymanfa ganu tradition can be traced back to the 12th Century in Wales where the singing of hymns in four-part harmony began. It has been an important part of the Venedocia Church�s life since about 1915. To hear the grand old hymns sung by several hundred voices is an unforgettable experience. People from several states return each year. The Gymanfa Ganu is the biggest event of the year in Venedocia. People from all over Ohio and from many other states swell the village to several times its usual population as they pack into the Salem Presbyterian Church to sing in four part harmony. The church thunders with hundreds of voices praising the Lord with English and Welsh language hymns. The front doors of the church are left open and you can hear the singing a mile away to the east. Very few participants actually speak or understand Welsh, but you are given a Welsh hymn book which makes it easy follow along. A choral director and guest soloists, often Welsh natives, are part of the program. The audience acts as the choir. In essence, what happens is that a professional choral director is hired to help the audience entertain itself singing Welsh hymns. A notice board has been erected by the Village Council on the Main Street village lot for the purpose of displaying local government information and advertising community events. If you want to post a notice there, please contact either the mayor, the fiscal officer, or Charles Good. Gasoline prices.These links are regularly updated by volunteer price watchers to show current prices. The Middle Point Fire Department (419-968-2191), which by contract provides fire service to Venedocia, will be enforcing Ohio EPA Open Burning Regulations within the village. No open burning is allowed without a permit within the village or within 1000 feet of the village. This includes burn barrels, leaf burning, and the burning of brush and scrap wood. Significant fines are possible for violators. CALL TO CAMBRIA, a published novel about life in Venedocia life in the 70's. Welsh society of central Ohio and their Facebook page. Lincolnview Local Schools, one of two public school districts that serve the village. Van Wert County Home Page with links to all aspects of county government. Flat Lands Supply an electrical and plumbing supply business with roots in the Venedocia community. The Van Wert Independent, a full featured on line newspaper run by journalism professionals, with up to the minute local news. The Van Wert County Fair held annually in early September. The Van Wert Historical Museum, whose location includes the Van Wert County Historical Society. Spencerville. This town is located about 10 miles southeast of Venedocia. City of Lima, located about 20 miles east of Venedocia. The Times Bulletin, Van Wert county's daily newspaper. Ohio Vital Records (births/deaths) information. Central Insruance Company Fire Museum in Van Wert city. The Brumback Library, this country's oldest county library, given for free to the citizens of Van Wert County by the Brumback family. vanwert.com Home Page, the Van Wert's major commercial site with lots of good city and county information. The Lincoln Highway and The Lincoln Highway Association. The part of this old transcontinental highway that is a few miles north of the village has been restored. The restoration includes original "Lincoln Highway" marker signs and Burma Shave signs. WERT, Van Wert county's radio station. Delphos Ohio, a nearby town with its own web site. District One, Ohio Dept. of Transportation, with road construction and other useful Van Wert County road information. Ohio Magazine, which published an article about the village in the August 1997 issue. Switchboard Telephone numbers and addresses of anyone in the Venedocia area or anyone anywhere in the United States. Van Wert County Police and Emergency Radio Frequency Lists for those with scanner radio receivers. THE WALES-OHIO PROJECT. Digitizing the archive of the Welsh in Ohio, from the NATIONAL LIBRARY OF WALES.. This very interesting site has digitized documents, mostly maps and personal letters, about Venedocia and other Welsh settlements in Ohio. Welsh Rugby Union supporters club site. Welsh League of Arizona latest news from Wales. Keltic Designs, t-shirts, clothing, notepaper, artwork, gifts etc. by artist Jen Delyth. BBC Radio Wales. Listen to the broadcasts on the internet. The Harp and Dragon, sales from Cortland NY of Welsh flags, harps, crafts, books, and recordings. The Red Dragon of Wales, a site with stories of ancient history and modern Welsh nationalism. Ninnau, the North American Welsh Newspaper. 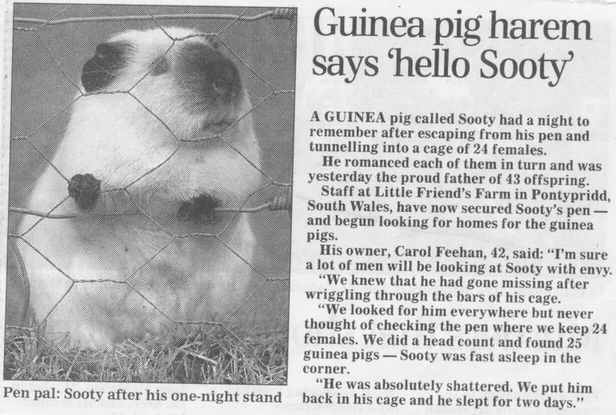 A Welsh Guinea Pig's Night To Remember, an amusing 2001 newspaper article. Welsh cottages. Rent a vacation cottage in Wales. Madog Center for Welsh Studies at Rio Grande, Ohio. GWALES.COM an on line source of Welsh and Welsh interest books. The National Assembly for Wales, official site of the new Welsh legislative assembly. Croeso Betws, the bilingual web site of Betws-y-Coed village in Snowdonia National Park. Here you can arrange accommodation with local Welsh speaking families. Plaid Cymru the Welsh nationalist party, the second largest political party in Wales. A Brief History of Wales and other Welsh information by Peter N. Williams Ph.D. This scholarly site is excellent!